Can we realize the gains from digital currencies in a coherent system of regulation that respects privacy while also taking adequate steps to against money laundering and terrorism? 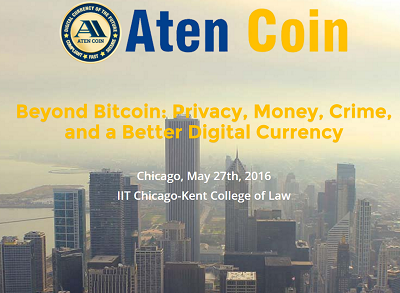 The conference addressed this question and the effectiveness of Aten Coin in providing a solution. This event was free and open to the public. Visit the event page for the program schedule. Program | 9:45 a.m. – 4 p.m.
Pricing: This event was free and open to the public.